An estimated 9,000 tonnes of soil contaminated with petroleum and aromatic hydrocarbons as well as heavy metals have been discovered on the site that is being excavated for a flood control retention pond south of St. James Street. It could cost up to $400,000 to haul 900 truckloads of it to Memramcook for safe disposal. The town’s share of the cost would be 25% or up to $100,000 with the rest coming from the federal and provincial governments through the Clean Water and Wastewater Fund. Burke explained that the contamination was found on land that the town bought from CN Rail on an “as is” basis. Much of the area where the retention pond is being dug served as a railway hub for more than a century with rail yards and a big railway shed on the site. Councillor Shawn Mesheau asked why the engineering consultants the town hired hadn’t anticipated the possibility of contaminated soil. He went on to say that the town had just started Phase 1 of the Lorne Street project when the province indicated there could be additional funds for Phase 2. “We then made a second application,” he said, adding that the town and its consultants didn’t have the luxury of time to conduct extensive studies. “We had done geotechnical investigation and we didn’t hit any contaminated soil,” Burke said. To read the town’s report on the contaminated soil, click here. This entry was posted in Town of Sackville and tagged Clean Water and Wastewater Fund, CN Rail, Contaminated soil. Bookmark the permalink. I have to admit we were totally floored last night at the meeting when we heard this information!! It just raises SO MANY questions that it’s hard to know where to start! contamination in that area – why was it not tested BEFORE going to tender? loading area for petroleum tankers, and more. included in the planning for this project, even though many of us did try. This latest ‘glitch’ just adds more to the growing list of questionable happenings in this whole project, right from the outset. Mr. Burke’s explanation last night that they were so ‘rushed’ at the beginning that they “didn’t have the luxury of time to conduct extensive studies” really doesn’t ‘hold water’. Once the initial funding was secured, there was PLENTY OF TIME to do further studies, since the actual start of this project was delayed quite extensively – due to the engineering consultants having to redesign and downsize the whole project after the first tender bids came in at double the allocated budget. It appears, however, that this was left to the contractor to ‘discover’ in the course of their digging. Is that a responsible manner in which to hire someone to do a job for you? been released into the environment.” Seeing that CN, the previous owner of the land in question, used it as a railway hub for more than a century with rail yards and a big railway shed on the site, it seems obvious that CN is the responsible party for the soil contamination in the first place. I think another question that should be asked, is why the Town of Sackville would purchase a piece of land, that was previously zoned for industrial usage, on an ‘as is’ basis, when it seems obvious that any industrial land would have the potential of contaminated soil being present. I think that Councillor Mesheau is correct to ask “why the engineering consultants the town hired hadn’t anticipated the possibility of contaminated soil.” This is a scenario that a consulting engineering firm must be fully aware of. Finally, Town Manager Burke’s statement that “I guess in hindsight, 20/20’s a wonderful thing”, and “It’s easy to sit here now and say ‘we should have done this, we should have done that.” is a slap in the face to the residents of the Town of Sackville, who expect town employees like Burke, who are paid by the taxpayers of Sackville, to display due diligence and professionalism when purchasing land for the Town, ESPECIALLY when purchasing industrial land, rather than flippantly dismissing any criticisms of their actions and decisions after a mistake like this has been made. We went through this with the Armoury on Main & Allison about twenty years ago, cleaning up DND’s mess as well as from the Irving gas station that was across the street. Even a conversation in a local barber shop or pub with a mix of town citizens would have raised the question of contamination. It’s a $100K expense for us, but those responsible for this negligence will pay nothing. Harold, as best as I can recollect, it was DND that completely cleaned up the mess on their property that was totally created by their ‘good’ neighbor, the Irving gas station. It was corroded leaky tanks at the Irving that allowed the escaped fuel to follow the top of the impregnable shale, which was down 7 or 8 feet from ground surface, and it then got in around the foundation of the Armories. Sadly the building was scrapped and the entire mess was cleaned up before it was certified as being safe. It was us, the Canadian federal taxpayer that ended up coming good for it. The ‘good’ neighbor got off scot-free. I don’t think the Town of Sackville though had anything to do with the project. No one in their right mind these days would buy a piece of property that they knew could possibly be contaminated. That is why all property sales are run through competent Legal Firms to assure this. It is way past time for an INVESTIGATION into this whole ‘Lorne Street Project’ by independent hydrological engineers in conjunction with the NB Dept of Transportation and Infrastructure. When this phase finally wraps up, approximately $9 million will have been spent of taxpayers’ dollars and there is still no rectifying the cause of the slow release of water from the town. That cause is, of course, simply clogged up and undersized dyke aboiteaux and the ditches that have been allowed to fill in due to a lack of maintenance over the past 55 years. DTI is the one responsible for the dykes and all the aboiteaux. They OWN them. Sackville Town Council has been ill informed about this fiasco from the get-go by certain Town Management as well as by Crandall Engineering. Town Citizens have been shuffled aside by the Senior Manager of Corporate Projects and told they have to pay just to chat with Crandall Engineering. For some reason, the tables seem to have now been turned and our 5300 Citizens have been relegated to the bottom of the ‘pile’ when it comes to actually participating in fully knowing what is going on behind closed doors and how our finances here in Sackville will be spent. Our Town Council, without full and accurate information, cannot possibly make wise decisions. This project should have been simply to replace an aboiteau and clean out the ditches as suggested by the Department of Transportation and Infrastructure engineers. Any excess water would have then flowed freely to the Tantramar River for seven hours, twice each day at low tide, and the cost of the full project would have been around half a million dollars. That would have fixed the problem. A simple 5 hour back up pond would have been created at the aboiteau itself on nonproductive land. It is very maddening to see such a incredible waste of taxpayers’ funds, all so that a chosen few will be able to use another walking trail under the guise of a very impractical flood control system. 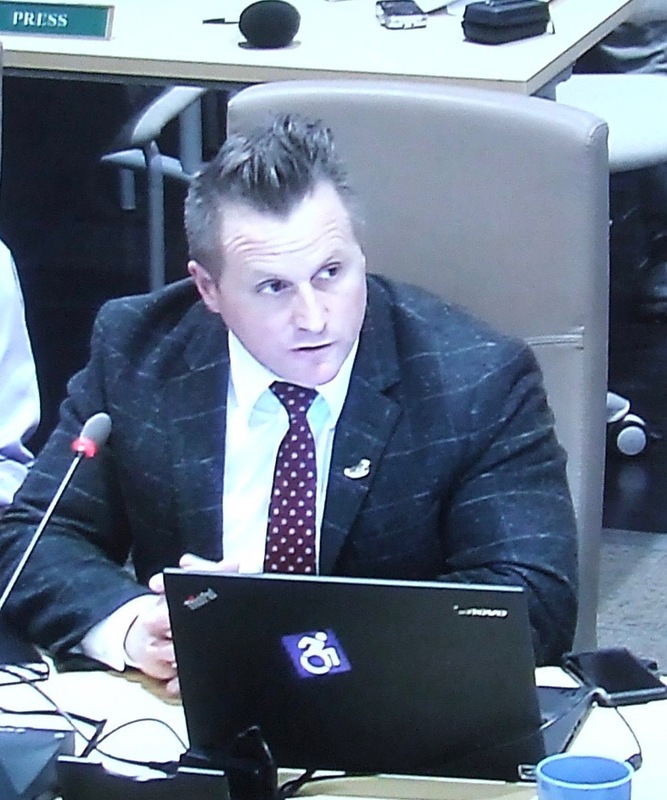 In my opinion too, Councillor Mesheau asked the good question. I also find it odd that the Town did not have any environmental concern at the time of the land purchasing transaction (from CN!). It is hard to believe that the Town’s real estate lawyers did not warn it about this risk (as a potential liability). I am not a lawyer but I can try to think like one :). Maybe the Town knew about the contamination and used this knowledge to negotiate a good deal (land price)? Could it be? Or maybe the Town tried to be “clever” in a different way: by having a vision about this current scenario of funding for cleaning (involving the federal government) right from the moment of purchasing? Regardless, I guess it is the secrecy around this story that makes me feel very uncomfortable. There is usually nothing wrong in trying to be “clever” in “business” when it does NOT involve other people’s money. However, it is totally a different story when we overspend like this with taxpayers’ money. Plus, one must admit this story seems to contrast with our Town’s environmental virtue signalling.